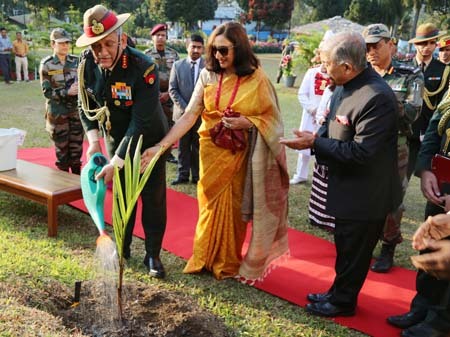 ITANAGAR, Feb 3: Governor BD Mishra hailed the role of the Indian Army in defending the nation’s sovereignty. “It is because of the Indian Army that the sovereignty and the territorial integrity of the nation are intact,” said Mishra during a meeting with Chief of the Army Staff (COAS), Gen Bipin Rawat, at the Raj Bhavan here on Sunday. vacancies for Arunachalee youths in the army. 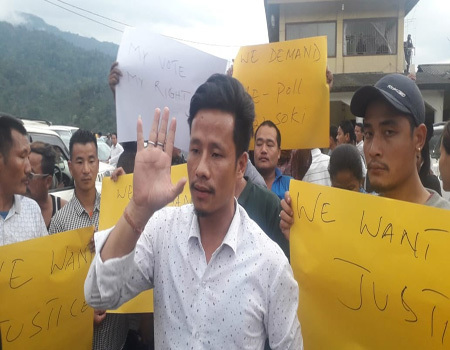 He also mentioned the initiative of the 17th battalion of the Rajputana Rifles in Gelemo village in Upper Subansiri, where they opened a primary school. Handing over a report about the Pay Back to Society Group (PBSG), Mishra commended Gen Rawat’s good gesture to help the PBSG. The COAS praised the people of Arunachal Pradesh, saying they have always helped the Indian Army in a big way. 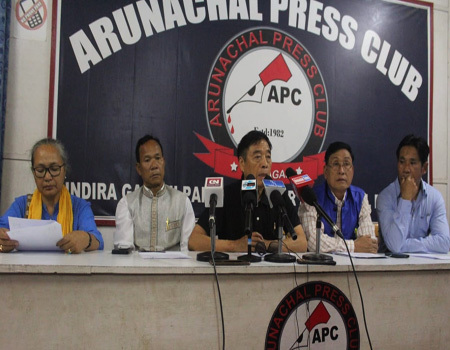 He also said there are many “very good” officers from Arunachal in the armed forces. The army chief felicitated four meritorious students, Mihin Ronya (Rajiv Gandhi Government Polytechnic College), Miti Perme (DNGC), Rajiv Ranjan Ray (NERIST) and Joychen Kenglang (NIT). The governor’s wife Neelam Misra presented a short film on loin loom weaving to Army Wives Welfare Association president Madhulika Rawat, for the benefit of the army wives. Students from the Donyi Polo Mission School for the Hearing and Visually Impaired, RGU, the NERIST and the NIT, and artist Mibi Nyodu presented colourful cultural programmes depicting the cultural heritage of Arunachal.